We had another sunny, spring-like day! 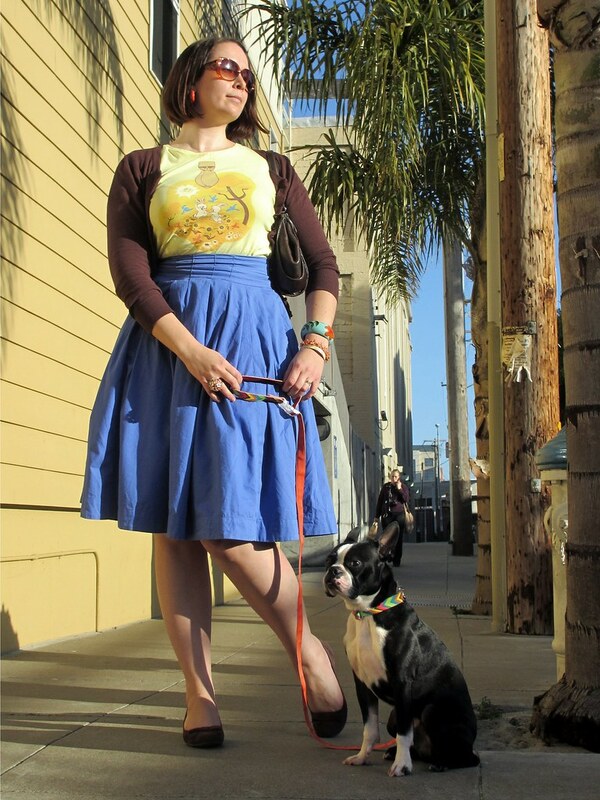 So I chose my outfit accordingly: a cornflower blue skirt, yellow tee, and colorful accessories. Dressed for California spring! Photo by Santina of Style by Santina. The color combos reminded me of how I used to think of California, especially given that my perception of California was heavily influenced by shows like Saved by the Bell. Lots of bright, sunny colors and all that! 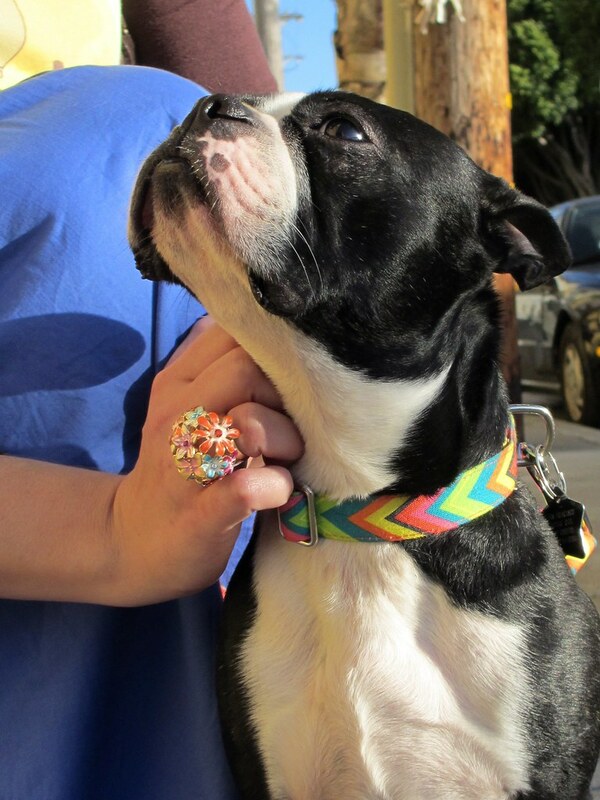 Rocky’s leash and collar, in particular, have that whole mid-90s southern California vibe, with their neon colors and bold pattern. 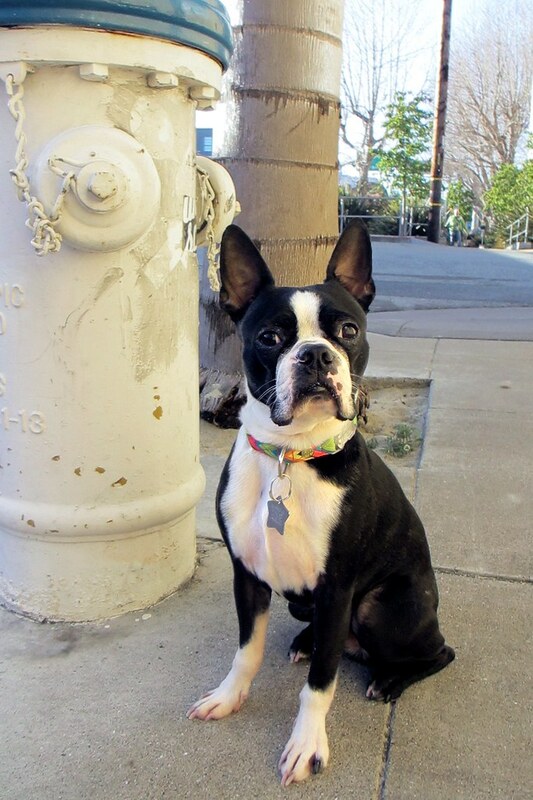 Rocky is a total Californian stud. Photo by Santina of Style by Santina. Rocky enjoys a neck scratching. Photo by Santina of Style by Santina. 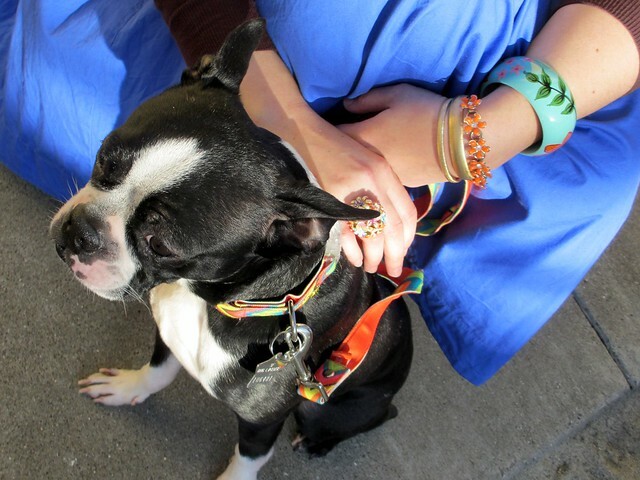 Colorful accessories on both Rocky & me. Photo by Santina of Style by Santina. And I had to add in one more photo of just Rocky, because he really is the star of the show & it’s been too long since his last appearance! I love the blue skirt – what a pretty piece for spring/summer. And how adorable is Rocky??? My best friend back in Canada has two Boston Bull Terriers and they’re the cutest pups. i love that skirt, you look so ready for the summer! Thanks! 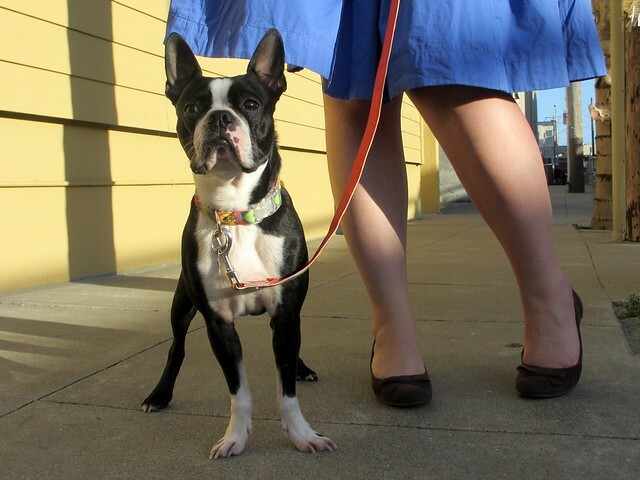 I’m totally ready for summer – alas, SF isn’t right now. :( Fog and rain today – boo! fabulous shoot. I love the swing to that skirt!